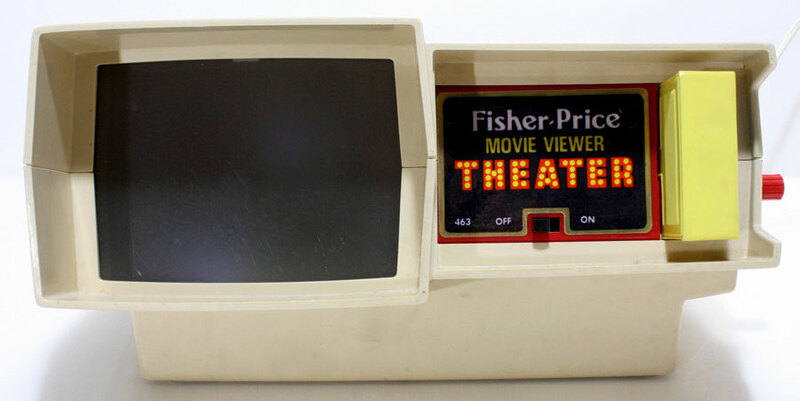 The Fisher-Price Movie Viewer was introduced in 1973 as the #460 Movie Viewer & Cartridge. 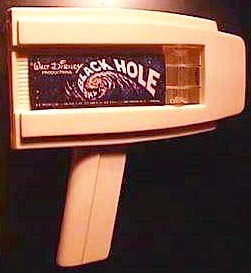 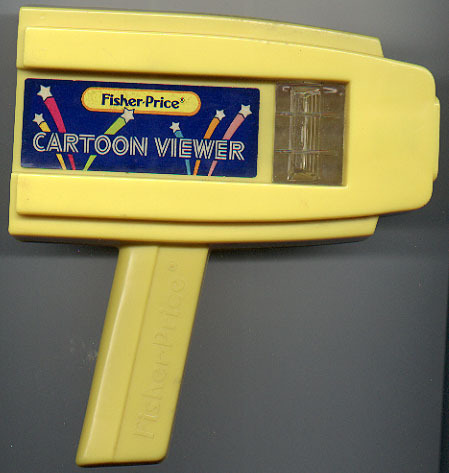 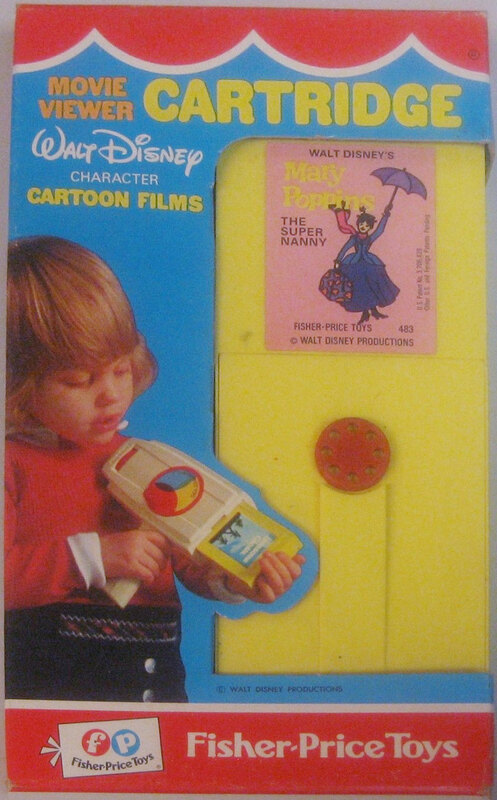 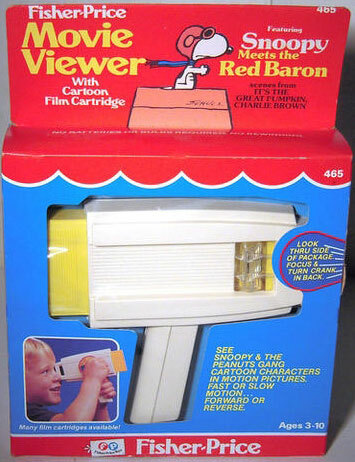 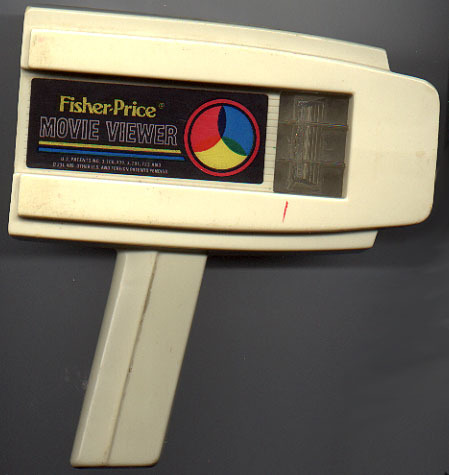 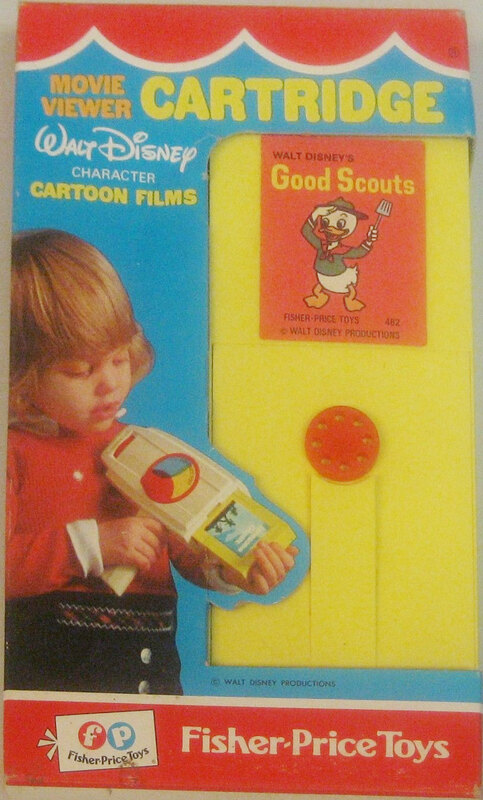 The Movie Viewer was very popular both because it does not require batteries, bulbs, nor any other replacement requirements and because Fisher-Price manufactured several popular movie cartridges that appeal to children. 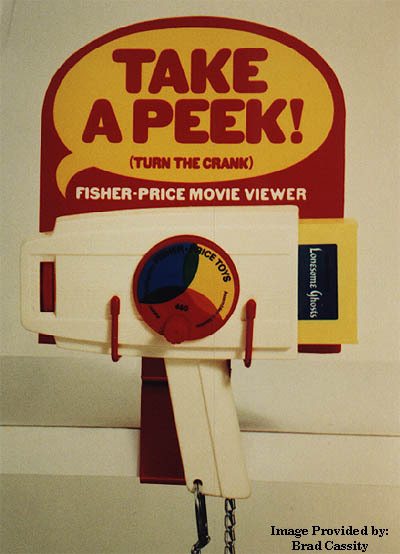 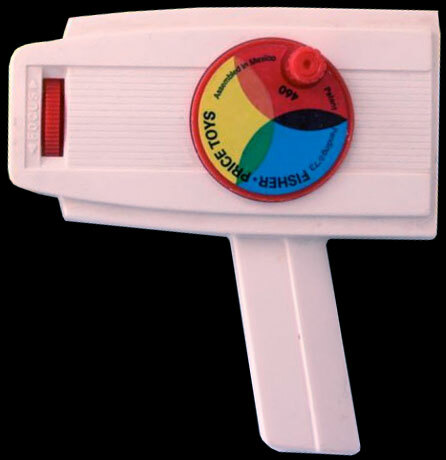 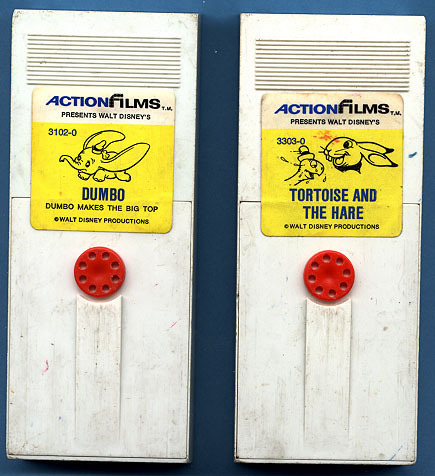 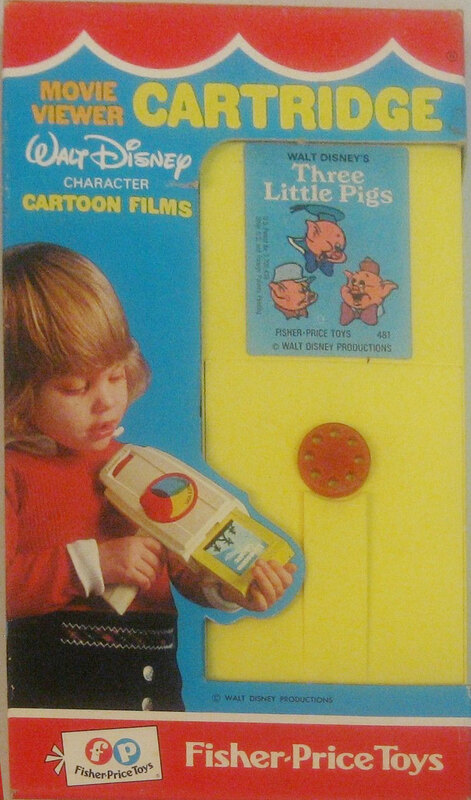 Click here to find a list of all known Fisher-Price Movie Viewers and Cartridges in order by the Fisher-Price model number. 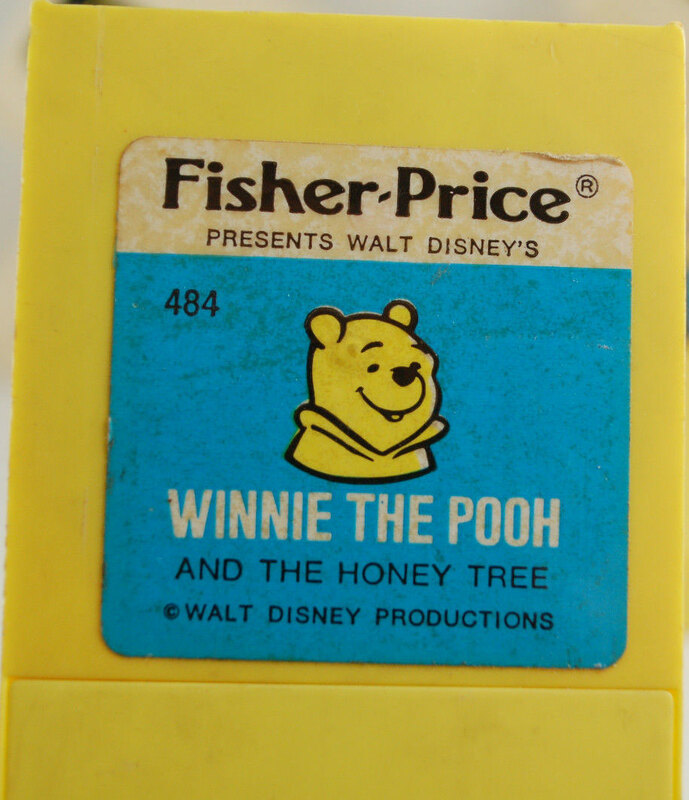 Below you will find links to bite-size pages that list all known Fisher-Price Movie Viewers and all known movie cartridges in order by the movie title. 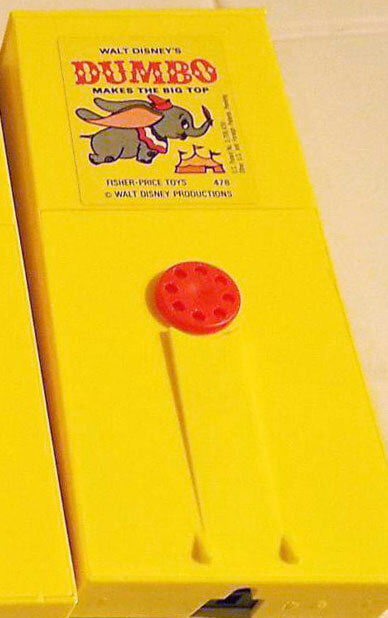 Each cartridge measures 6-5/16" long, 2-5/8" wide and 7/8" deep.